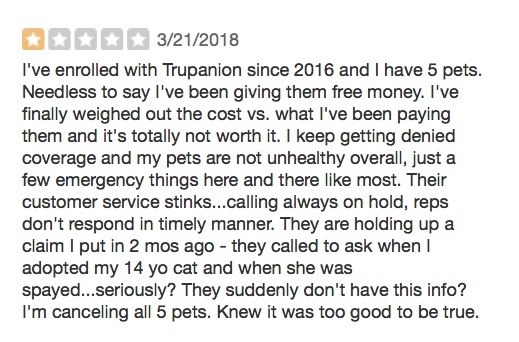 Trupanion Pet Insurance Review - STAY AWAY!!! 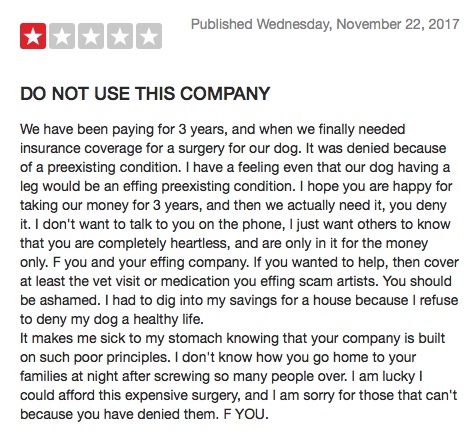 Like so, so many other people, I’ve also been burned by Trupanion Pet Insurance. 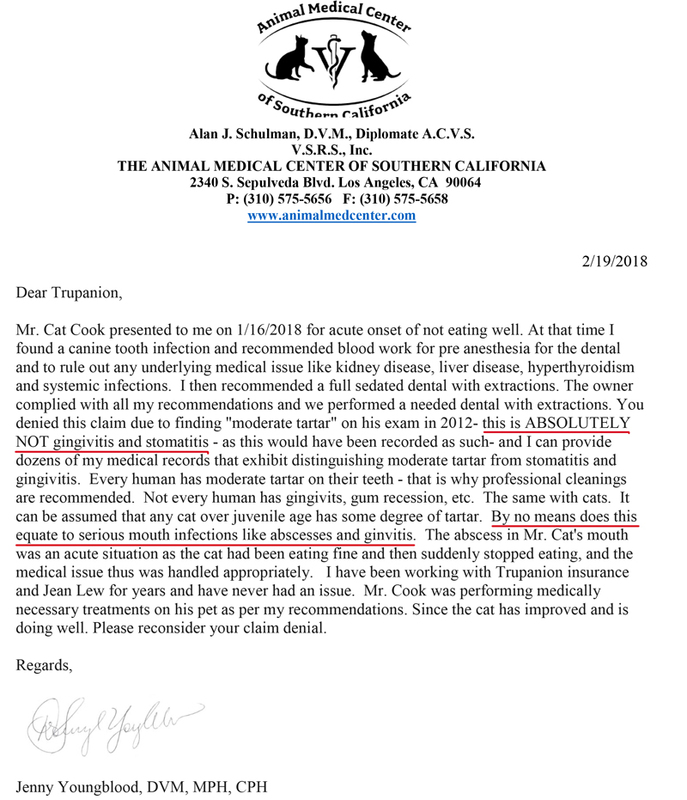 They have an entire scheme running where they nearly always find a reason not to pay, and the way they do this is often by saying such and such is a preexisting condition, and therefore, Trupanion Pet Insurance will not cover it. It’s just one really big scam. 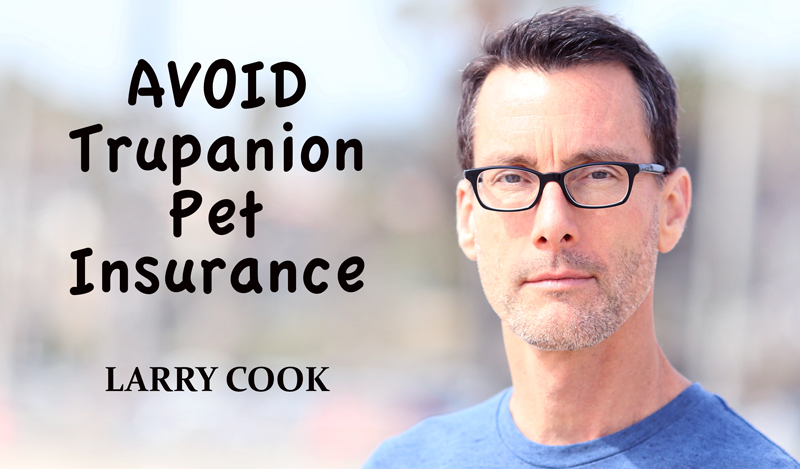 In my case, after my cat was attacked by a raccoon, I decided it might be a good idea to get pet insurance. 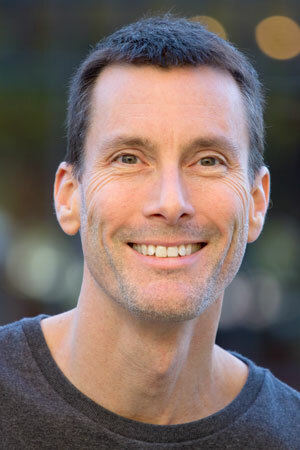 I asked my vet who they recommended and they said that Trupanion Pet Insurance was a great company to go with. Hah! 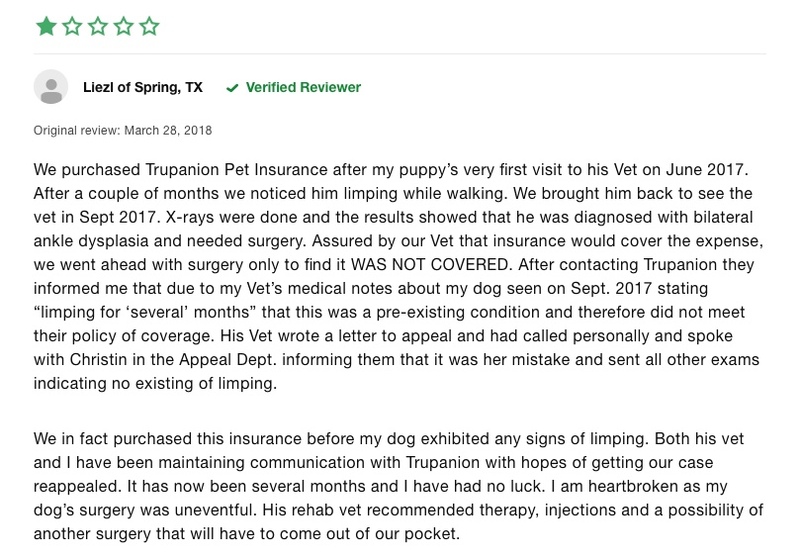 I recently discovered they send reps to vets and so that vets will recommend Trupanion. That needs to change. I digress. 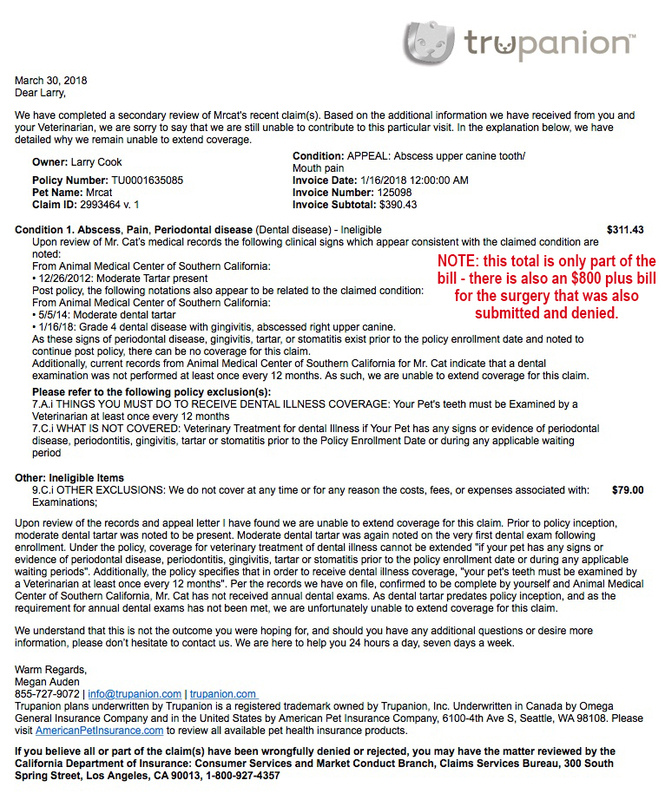 Big picture regarding Trupanion Pet Insurance? Well, if you love to gamble and lose, go with Trupanion Pet Insurance. 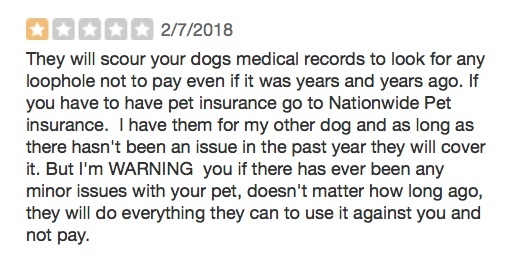 Otherwise, it’s best to either not get insurance at all, or find a company that doesn’t scam it’s customers by creating absurd arguments that a pet’s medical needs will not be covered by them. 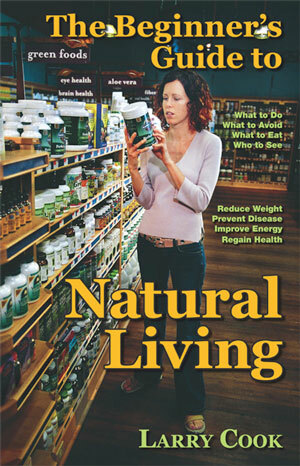 Trupanion is a sham company – don’t fall for their lies.